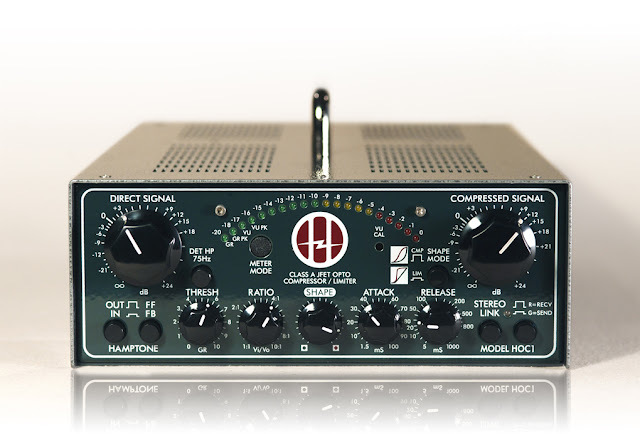 Hamptone who is known for their preamps (the HVTP2 and HJFP2) recently announced their latest product the HOC1 : Class A JFET Opto Compressor/Limiter. The preamps are solidly built and the words clean, detailed and larger than life are often used to describe them. I'm certain the HOC1 will also be well received. I like the layout of the controls and the fact that parallel processing can be done within the unit. I'm especially curious about the SHAPE control. I will do a more informative post once I actually get my hands on the unit.